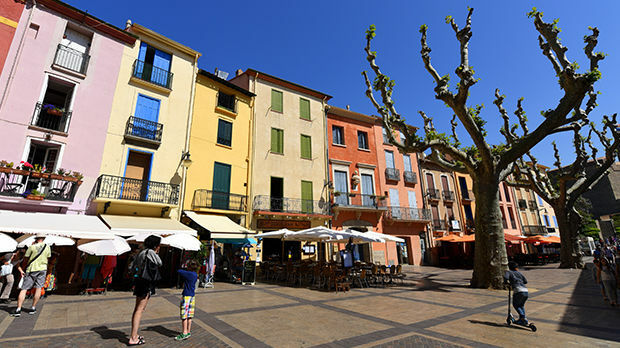 Surrounded by less-appealing resorts, lovely Collioure is blessed with a privileged climate and a romantic setting. 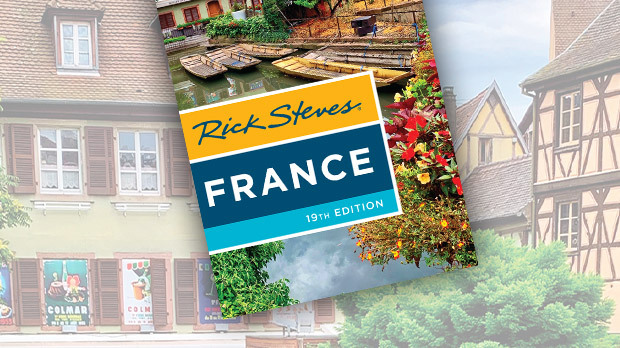 By Mediterranean standards, this seaside village should be slammed — it has everything. 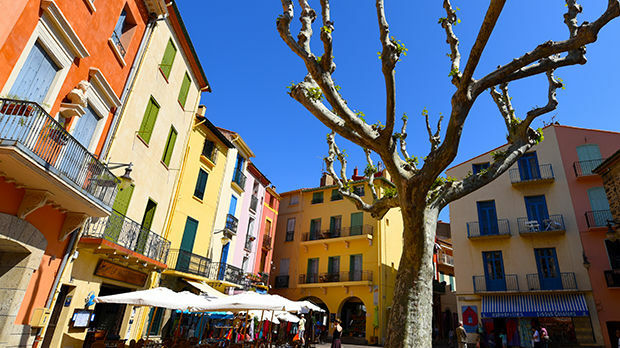 Like an ice-cream shop, Collioure offers 31 flavors of pastel houses and six petite, scooped-out, pebbled beaches sprinkled with visitors. 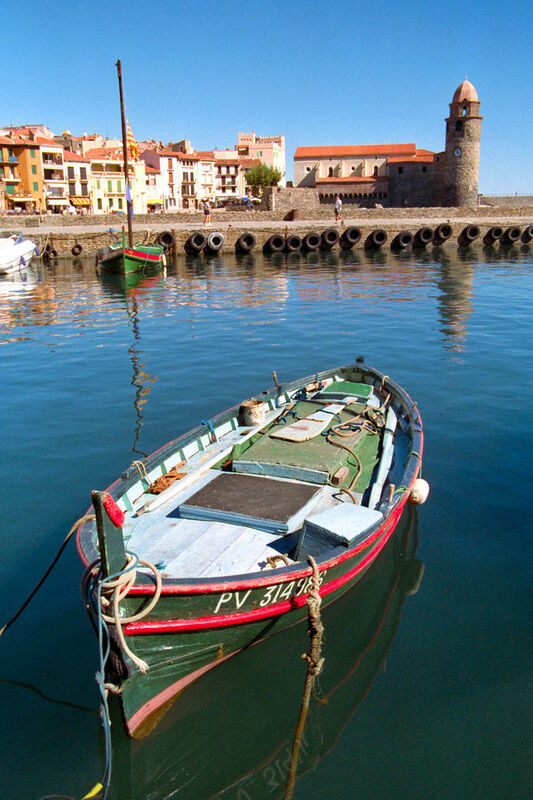 This sweet scene, capped by a winking lighthouse, sits under a once-mighty castle in the shade of the Pyrenees. Come here to unwind and regroup. 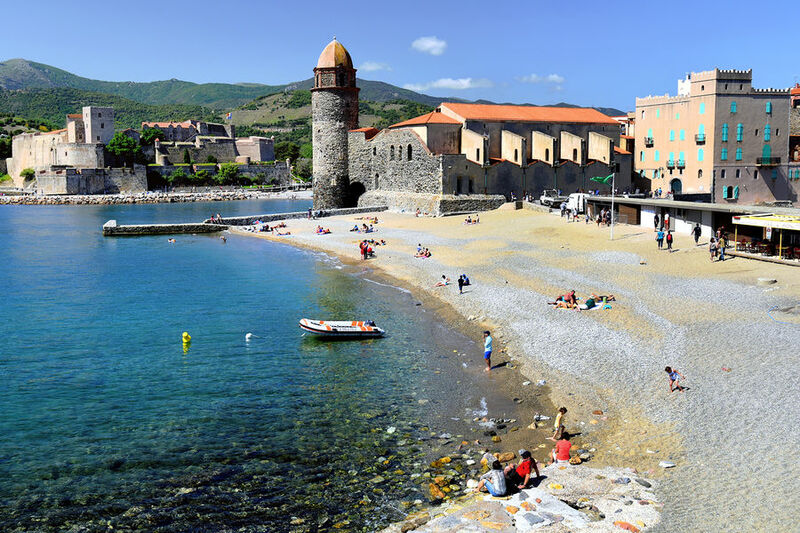 Even with its crowds of vacationers in peak season, Collioure is what many look for when they head to the Riviera — a sunny, relaxing splash in the Mediterranean.